The Natural History Network exists to support the global wildlife TV business. They aim to join-up the disconnected world of natural history film-makers to help the best people find the best jobs and the best production companies find the best talent. Their remit is to keep people in the loop and well informed with articles, features and events. 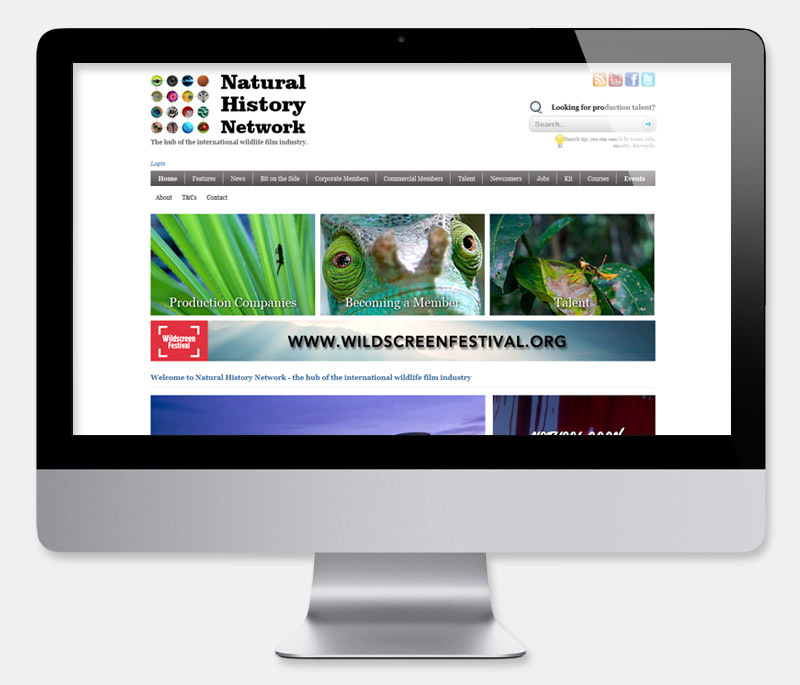 In 2013, The Natural History Network came to us needing a new website. They wanted to keep the design of their existing website, but wanted it to be built upon an open-source platform that would allow them greater flexibility and reduced development costs in the future. We provided them with a website built on the open source Drupal 7 platform, which not only recreated the majority of the features from their previous website, but also contained some great additions such as allowing their members to login and maintain their own profiles, a moderation area where NHN admins could vet their members' comments and profile changes before they are published, an advanced search which allows users to search both pages on the website, and the contents of documents uploaded to the website, and a sophisticated tracking tool that records how many profile views, document downloads and advert clicks their users are making.